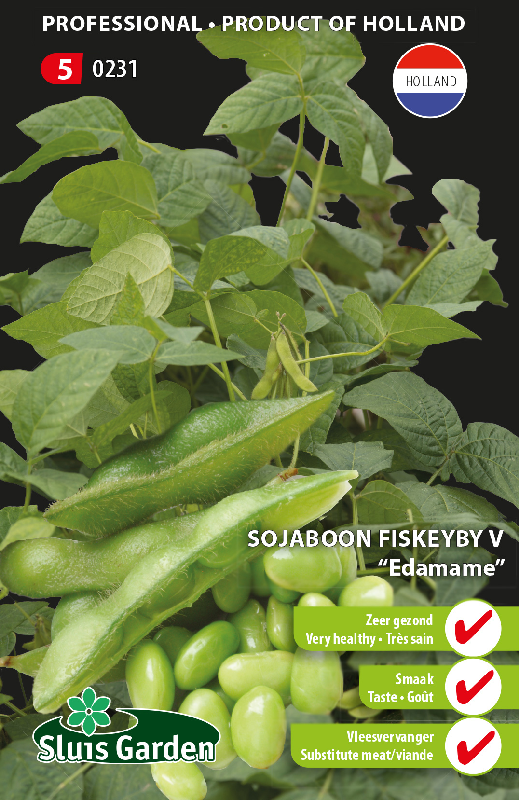 Soya bean Fiskeby “Edamame” is a variety that can be cultivated well in our cooler climate. The crop looks similar to beans. The plants are approx. 50 cm tall, prefer plenty of sun and warm temperatures. Soak the seeds for a number of hours, pre-sow in a warm place and transplant outside in a cold greenhouse or sheltered spot. Transplant after mid-May due to ground frost. Blanch the pods briefly in boiling water and peel. They are also tasty raw. 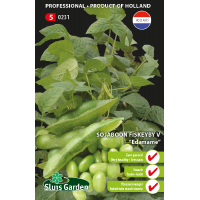 With soya beans you only eat the peas in the pods. A fine meat substitute.